Pain on the outside of the leg? Could it be your orthotic? What you wear on your feet amplifies the effect of the orthotic. This woman presented with right-sided pain on the outside of her leg after hiking approximately an hour. She noticed a prominence of the arch in her right orthotic. She hikes in a rigid Asolo boot ( see below). Remember that footwear amplifies the effect of an orthotic! In the pictures below you can see the prominent arch. 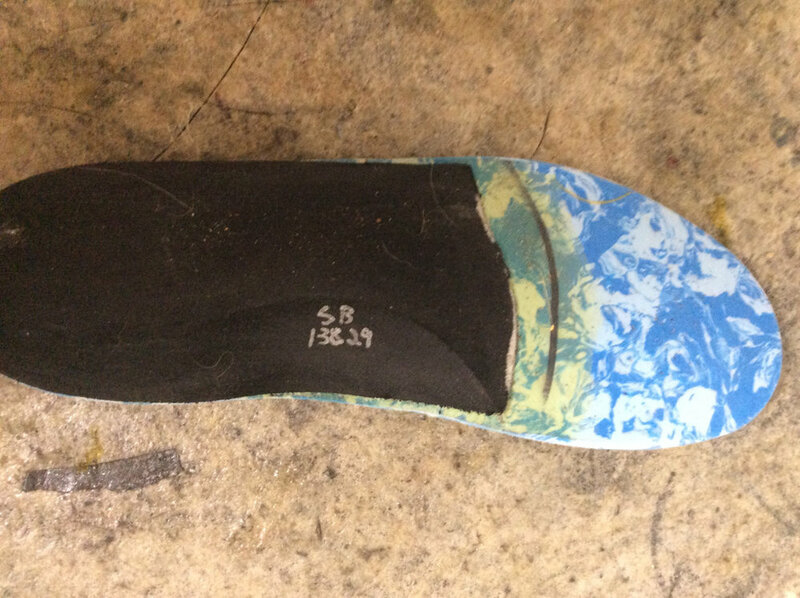 The orthotic has her “over corrected” so that she toes off in varus on that side. The rigid footwear makes the problem worse. The peroneus group is working hard (Especially the peroneus longus) to try and get the first Ray down to the ground. 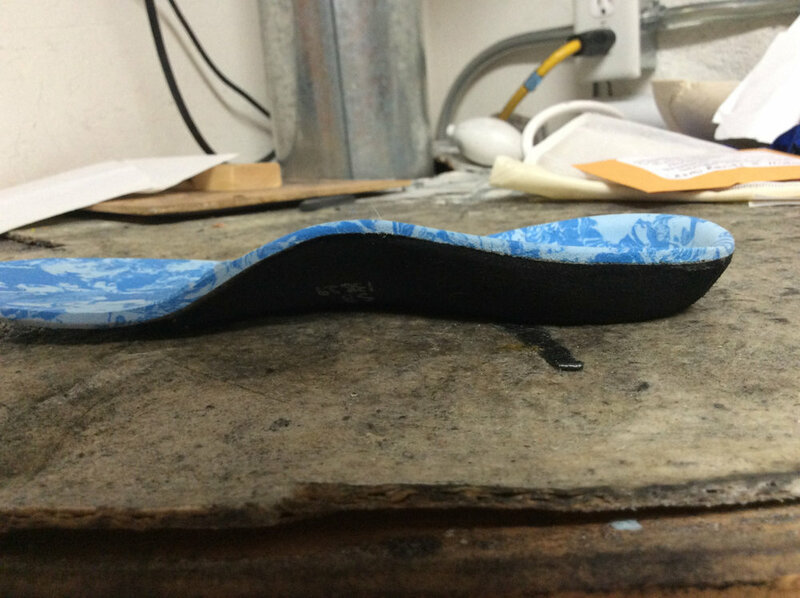 The “fix” was to soften the arch of the orthotic and grind some material out. 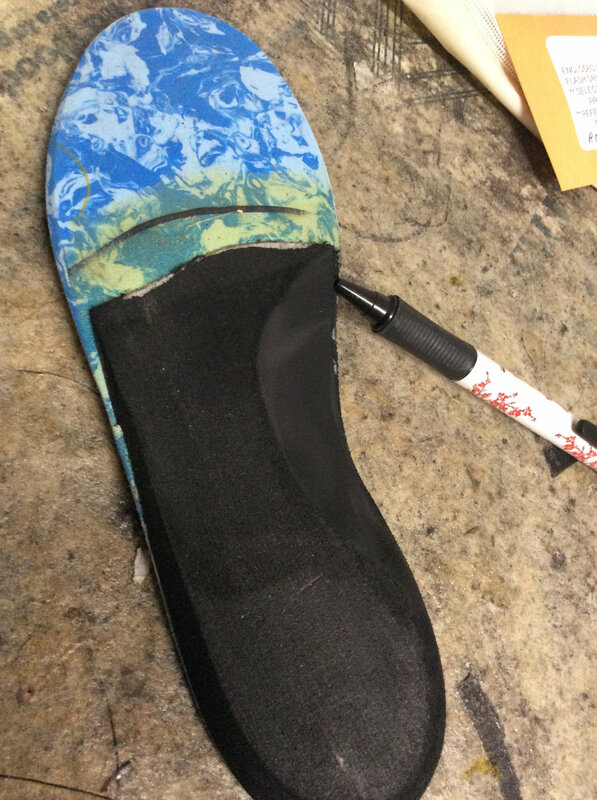 Look at the pictures where the pen is pointing to see how some of the midsole material was taken out. Notice how I ground it somewhat medial to further soften the arch.